The Indigenous People of Biafra, IPOB, has described the recent launch of Operation Python Dance in the South-East and the threat to deal with them as “an attempt to divert attention and a diversionary measure to free itself from the indictment, condemnation and criticisms it has roundly received over the Amnesty International report that criticized their barbaric activities in South-East states. This is another tactics to quell any protest tomorrow December 1, 2016. We need to remain prayerful and be cautious and vigilant. 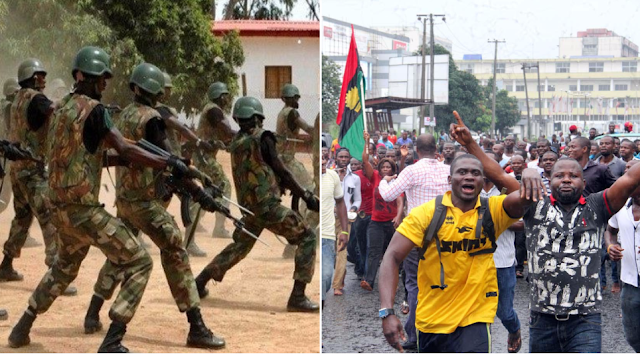 Buhari wants to start war with Biafrans. The man is a war-monger.